Date of birth unknown. He started his career as a disciple of Nakamura Shichisaburô II, who gave him the name of Nakamura Shichiji. Later on, he became the son-in-law of his master. 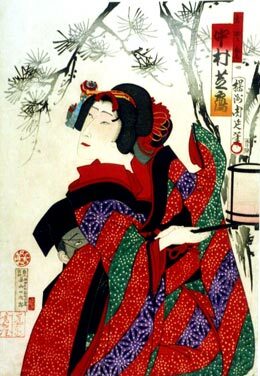 He took the name of Azuma Tôzô IV in the 11th lunar month of 1810, playing at the Ichimuraza in the drama kaomise drama "Shitennô Yagura no Ishizue". He met Nakamura Shikan II in Edo in 1830 and became his disciple. He took the name of Nakamura Shikaku in the 3rd lunar month of 1830, playing at the Nakamuraza in the drama "Sakuradoki Kiyomizu Seigen". He appeared on stage for the last time in the 2nd lunar month of 1843, playing at the Ichimuraza in the drama "Sato Tsubame Sugata no Inazuma". He was a supporting onnagata actor, specialized in nyôbô and toshima roles. He had two sons: Nakamura Shichisaburô III (Nakamura Kanzaburô IX) and Nakamura Shichisaburô IV. 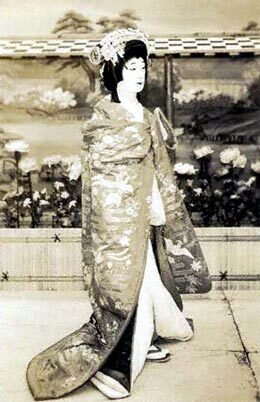 The actor Nakamura Denkurô VI held the name of Nakamura Shikaku I from the 1870s to April 1919. The actor Nakamura Shikaku II held this name from May 1919 to September 1981.